Looking for a convenient Downtown Gatlinburg Condo? One with a large patio and on site pool? Jackpot! The Creek View Condo is a winner and perfect for you and your family. In fact, we (Chalet Village) have dozens of condo and cabin rentals in Gatlinburg. If you want a cabin instead of a condo, we can help you find the perfect one. But it’s hard to beat the location of the Creek View, it’s within walking distance to town! This spacious luxury condominium offers many relaxing amenities, and the nearby Gatlinburg excitement is going to keep everyone in your group happy. Guests love the convenience & savings that the full kitchen offers. Prepare your own meals in no time and set up your sides on the granite counter tops. The basics are covered: Refrigerator; coffee maker; microwave; toaster; cookware; dishware; ice maker. Sleeping arrangement: 2 king suites, spacious and private covered deck with a creek view. Master bath has a whirlpool tub. The Smoky Mountains are the tallest mountains in the Appalachian chain, and certainly one of the best place in the country to hike! Thanks to the unique location of this Gatlinburg condo, you can easily make plans to take a guided mountain hike with A Walk in the Woods - perfect for kids, tweens and teens. They also specialize in Gatlinburg Walking Tours. Gatlinburg is very pedestrian-friendly, but if you want to save your “steps” for a mountain hike then hop on the local trolley, which is free during the summer months and goes to Pigeon Forge (Dollywood) and Sevierville. Other crowd favorites include Ghost & Haunt Tours of Gatlinburg, Cades Cove, and if you’re group is UP for it, go on an epic hike deep into the Smokies backcountry. Find the ultimate picture of the Smoky Mountains for Instagram at Gatlinburg’s Scenic Overlook. There are more than 800 miles of trails! Start and end each day on the spacious and private covered deck. We’ll make sure your stay in this upscale condo is flawless. 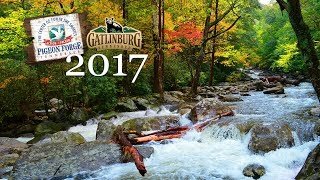 Want to experience as many Gatlinburg activities as possible? Since you book directly with us at Chalet Village, we can give you lots of tips on how to pack it all in. Did you know? Gatlinburg is the entrance to the Great Smoky Mountains National Park. There is so much to see in and around Gatlinburg and the Smoky Mountain National Park, it’s hard to experience in one weekend - this Eastern Tennessee vacation might need to be extended a couple of days. Go horseback riding in the Smoky Mountains, stroll through Village Shops - a collection of boutiques, stores and restaurants, Ripley's Super Fun Zone has arcade and video games, Davy Crockett Mini Golf, Ripley's Believe It or Not! Museum, Ober Gatlinburg Ski Area - a ski resort and amusement park, ride the Gatlinburg Sky Lift, Dollywood, take your family to the largest musical variety show in the Smokies - Smoky Mountain Opry, witness illusions first hand at the Wonders of Magic show. 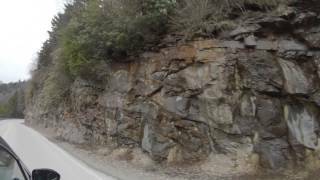 Gatlinburg and Pigeon Forge are full of surprises! Heart pounding adventures await too: Cross a swinging rope bridge, choose a whitewater rafting adventure or a high-flying zipline tour.